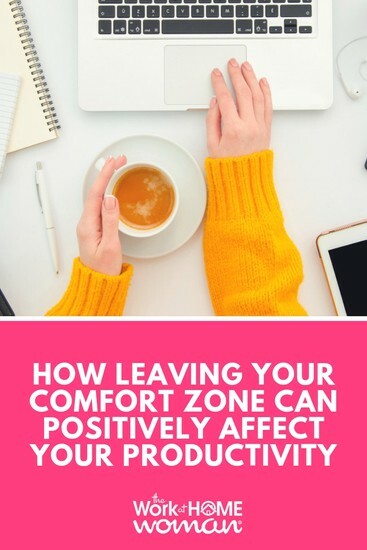 As a work-at-home woman, do you ever leave your comfort zone? Do you have a schedule or daily routine for your business or for your job that you don’t deviate from? Have you ever thought about changing it up to see how it could positively affect your productivity or your bottom line? Here are five simple things that you could try that just might enhance your day. Do you typically wait until your kids are at school to begin your workday? Do you take care of household related tasks before tackling your workday? I'm not a morning person, so I know many of you may be rolling your eyes right now, but getting up a little earlier could have a dramatic effect. 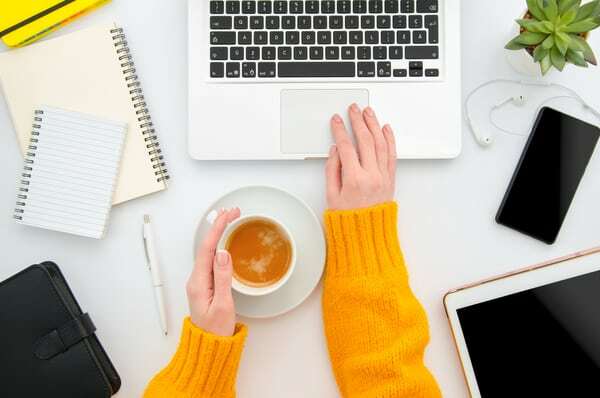 You could rise 30 minutes before your kids and check your email, get a jump start on a project, do a little yoga, or even just enjoy a cup of coffee alone. All of these things can set the tone for a productive, energized day. Just 30 minutes could make a difference and allow you to start the day on a positive, more relaxed note. How can taking a break, improve your productivity? Everyone needs a break now and then. When working at home this sometimes gets lost. It can be good to schedule one or two short breaks throughout your day. Use them to actually take a break. Get out of your home office and take a walk around the block or spend a few minutes playing with your pet. Regularly scheduled breaks can clear your mind and get you prepared for the next task at hand. 3. Turn off your email notifications. Many of us are used to hearing our email or other notifications ding each time we have a new message. Unless you’re waiting on something urgent, turning these off can be a good thing! They can be distracting. You can be knee deep in a project and getting some really good work done when a message comes in about another client or project. All of a sudden you are derailed and working on something different. Setting a certain time each day to check emails and messages can allow you to stay focused on the projects you’ve prioritized for that day. 4. Schedule time to mingle. Working at home, often alone can limit our human interactions. This often means fewer distractions but it can also inhibit productivity or collaboration. I recommend setting a time each week to mingle with others. This could be in person at your local chamber of commerce event, or it could be online via chatting or in a forum. It is always good to network and chat with others no matter the method. It can spur new ideas or someone may be of great help on one of your current projects. For the entrepreneurs, this can bring on new customers. Try not to let your home office confine you. 5. Pick up the phone. In the digital world that we live in, it’s out of many of our comfort zones to pick up the phone and call someone. Many of us just send an email or a text message instead. That can be effective, but it limits our human interaction. If you need to reach out to a colleague try to use the phone periodically to do so. It is great for relationship building and can help break up the monotony of your day. Many of us have become very comfortable within the confines of our home office. This isn’t necessarily bad. However, the ruts we find ourselves in are often different than those who work outside of the home. Doing a few things to ensure we leave our comfort zone every now and again can feel good. It can also lead to more productivity and a better feeling of accomplishment. What have you done today to leave your comfort zone? Drop us a note; we'd love to hear from you! If you enjoyed this post — please share it on your favorite social media site.